…and neither was I. It was starting to storm when we pulled in for a quick break before the downpour. Didn’t this used to be a big deal? 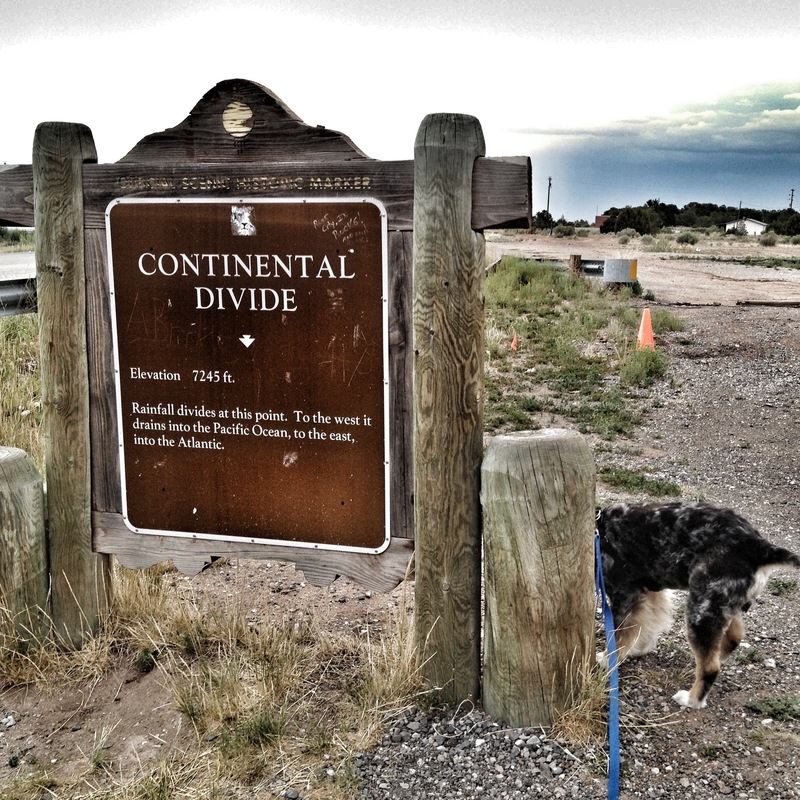 I remember learning about the Continental Divide in grade school — it’s the divide separating water drainage. To the west, it drains into the Pacific Ocean; to the east it drains into the Gulf of Mexico or the Atlantic Ocean. We stopped here in the 1970’s, on a family trip to California, and I was nerd enough to think this was cool. Today, not even the sign is maintained, and there is nothing but weeds and abandoned buildings, including an old Stuckey’s, there. That’s sad.